Last Monday, May 14th, the State of Colorado launched “Lift the Label”, a public awareness campaign that strives to remove stigmas that prevent those with opioid addiction from seeking effective treatment. 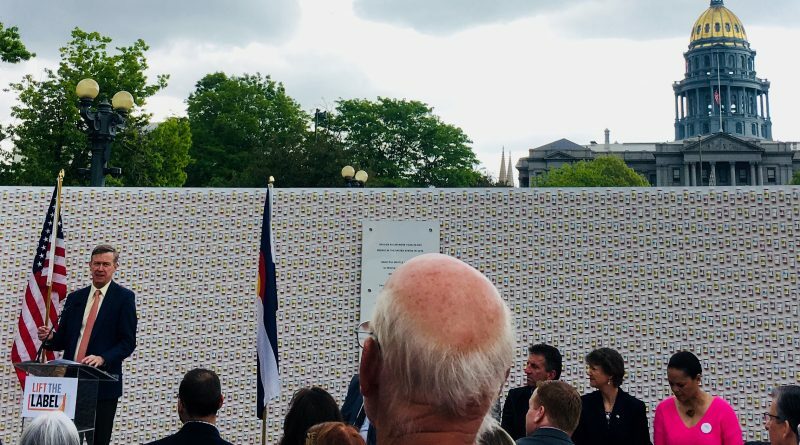 The event took place in front of the Capitol and a wall of 4,200 prescription pill bottles (commemorating the 420,000 lives lost to heroin or opioid overdoses in the U.S. in 2016). The campaign was developed by the Colorado Department of Human Services, Office of Behavioral Health and is funded through the State Targeted Response to the Opioid Crisis Grant from the Substance Abuse and Mental Health Services Administration (SAMHSA), an agency within the U.S. Department of Health and Human Services that leads public health efforts to advance the behavioral health of the nation. 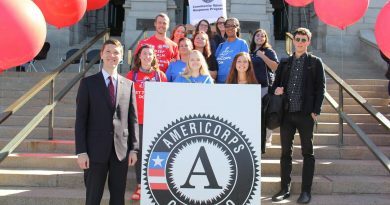 Four AmeriCorps members of the Community Opioid Response Program (CORP) attended the launch of “Lift the Label” which featured remarks from Governor John Hickenlooper and state officials Reggie Bicha (Colorado Department of Human Services Executive Director), Larry Wolk (Colorado Department of Public Health and Environment Executive Director), and Kim Bimestefer (Colorado Department of Health Care Policy and Financing Executive Director). The program also featured Coloradans sharing their own personal stories of addiction and recovery. An injured survivor of the Columbine shooting, Austin Eubanks, spoke of how he turned to substances, including opioids, in the wake of the tragedy. Dana Knowles, a former broadcast journalist for 9NEWS, spoke of how she developed an addiction to opioids following surgery. Today, both are in long-term recovery and hope that sharing their stories will help to lift the stigma of addiction and encourage others to seek help. 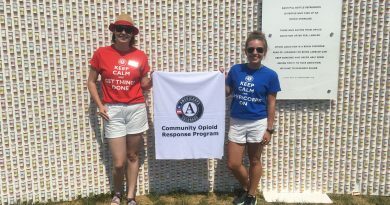 CORP looks forward to continuing to support the mission of campaigns, like “Lift the Label” to end the stigma surrounding opioid addiction, as well as conducting youth education, provider education, and community awareness events in an effort to prevent and reduce opioid misuse.